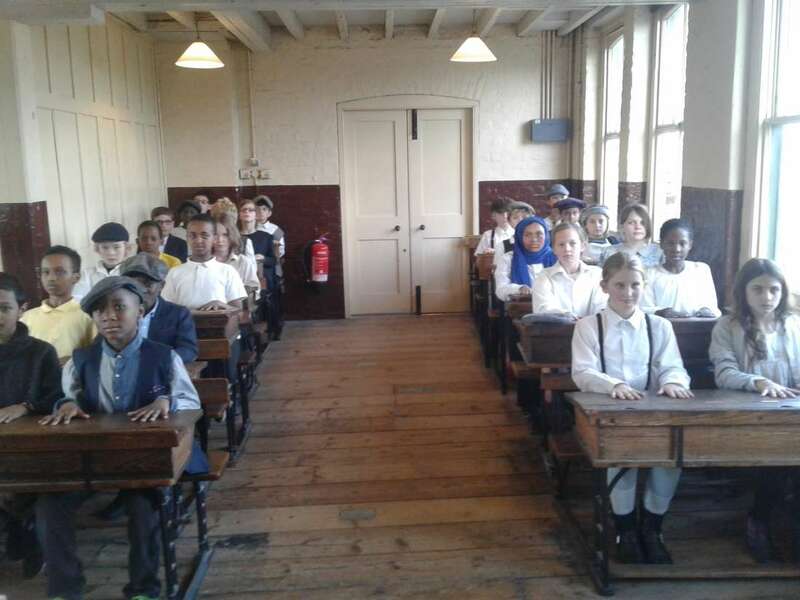 On Friday 13th November, Year 6 went to the ragged school museum.We walked up the creaky stairs and went inside a large room. We sat on the carpet and met our guide Jenny. She told us some rules and asked us what she scene behind her was. Then she handed us some Victorian objects. With this primary evidence we tried to figure out what they were used for. We then wrote what we thought it was for we. After that, we learned about was what happened on a wash day. There was grating soap, rinsing and finally drying. When we finished, we went upstairs and met Ms Perkins. We were strictly led to our desks which were separated, then shouted at for not having a good posture. Then, she did was finger inspections. Then we had to copy down the alphabet using our right hand some people found it harder than others! Next, we did maths; writing down the convections of shillings and farthings and pennies. Some children were being mischievous so they were put in the punishment book. At the end, Ms Perkins told us to relax because she was just play acting.